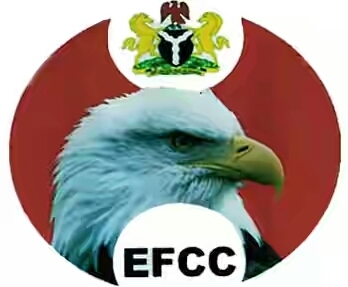 THE Economic and Financial and Crimes Commission (EFCC) has commenced investigation into how a syndicate succeeded in transferring the sum of N216.66 million from the Central Bank of Nigeria (CBN) account of the Federal Inland Revenue Services (FIRS) into an illegal account opened in the name of a company using the Awolowo Road, Ikoyi, Lagos branch of a new generation bank. EFCC is not only probing the illegal transfer, the anti graft agency would also look into the role of the Police High Command in handling the petition earlier sent to it by the real owner of the Ibadan based company, Citadel Concepts Limited, whose company name was used to open the illegal account. The company’s Managing Director, Mr Joseph Benjamin discovered the infraction when he went to reconcile his account with the FIRS and was subsequently, invited by the police to unravel how his company opened an unauthorised account. Not satisfied with the police investigation which turned the table against him, Benjamin forwarded a petition to the office of Vice President, Professor Yemi Osibanjo who directed Acting EFCC Chairman, Ibrahim Magu, to look into the matter. A source at the commission confirmed to Daily Sun that several people connected with the opening and operation of the account have been interrogated, even though investigation is ongoing. Daily Sun also gathered at the weekend that interrogators from EFCC have obtained documents from the affected bank mentioned in the petition, the Corporate Affairs Commission, the three companies connected with the fraud, the CBN and FIRS. Another source said many officials of these organisations were quizzed while forensic analysis of specimen of signatures used in opening the account has been carried out. The role of the police in an earlier petition to the office of the Inspector General of Police is also under scrutiny as a result of allegations made against the police in the cause of investigations by the commission. For instance, part of the document submitted to the EFFC for investigation was to unravel why the police declined requests for the release of the case file to the Lagos State Directorate of Public Prosecution and the trial of the petitioner for false information under the penal code.